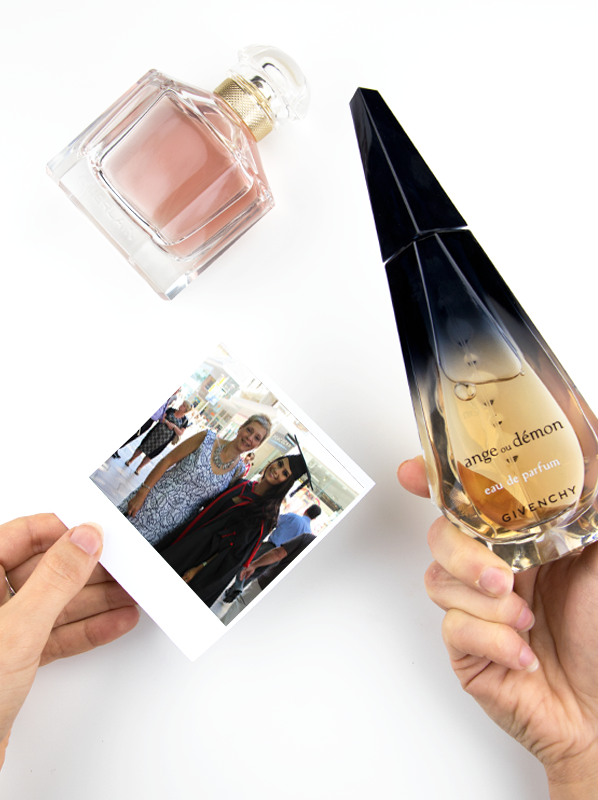 National Fragrance Week is all about celebrating the importance of perfume in our lives. It’s there to remind us that fragrance is so much more than just a smell we throw on without thinking – it’s a sprayable style, mood or atmosphere with unbreakable links to both memory and culture. A decade can be defined by the scents that were worn and our memories can be conjured to the front of our minds with just one spritz. 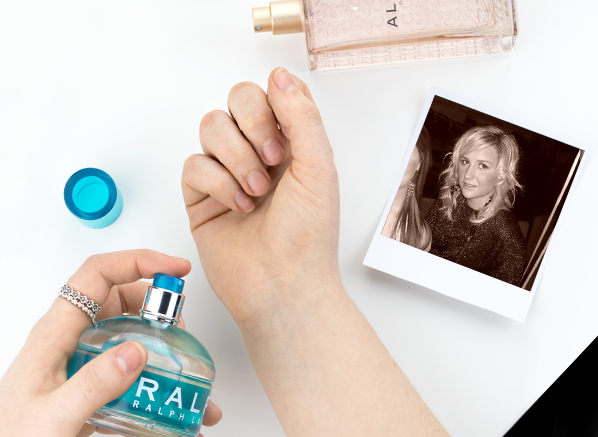 So perfume really is a lot more than just smelly water – it’s a myriad of emotion all inside a bottle. We each follow somewhat of a journey with our fragrances, with everyone acting as a scented marker in our lives. We all remember our first fragrance and those that accompanied us through life’s big events – the dates, holidays, weddings, births and more. We have our old flames and our current obsessions and each of them is a prominent checkpoint on our scented journey through life. To celebrate National Fragrance Week I have challenged Escentual’s Beauty Team to share key fragrances in their journey, from their very first fragrance to their current obsession, and I’ve even thrown mine in too! So let’s celebrate this fragrant week with a look at some scents that are important to us. I’d like to tell you that my first fragrance love was some obscure, intellectual art scent that nobody else was wearing. I’d like to tell you that because it would make me seem edgy and cool, but the truth is that my 18-year-old self was neither of those things and the scent I wore was something much more conventional. In fact, my first scent was one that many other gents in my generation wore: the one and only Jean Paul Gaultier Le Male. I loved Le Male because everybody else did, but also because it’s an incredibly fun and handsome fragrance. It’s an excessive barbershop fougere for those with bold personalities. To me, it’s the smell of nights out on the town where one too many blue WKDs were consumed under hot lights to a soundtrack of forgettable pop music. It’s too much hair gel and tight t-shirts – the smell of being handsome, youthful and more than a little bit rebellious. Best enjoyed with one spray too many, I find. Whenever I smell Ralph by Ralph Lauren, it always makes me smile/smirk and I have no shame in telling you that either. The first fragrance that wasn’t borrowed from my sister or a hand me down from my mum, Ralph was mine. I gunned for this fragrance as soon as I smelt it on my godmother – and birthday list after birthday list, this became a trusty signature of mine from the start of high school (I was an early fragrance bloomer) onwards; its poignant fresh floral aroma reminds me of summertime crushes and unfiltered happiness – oh to be young again! My very first fragrance wasn’t really my own, I just liked to pretend it was. GIVENCHY Ange ou Démon was my mum’s perfume, but while she was out there was nothing I loved to do more than douse myself in it, while I danced around the house to the latest pop hits of course. A dark floriental with sensuous vanilla facets, Ange ou Démon appealed to the part of me that was so desperate to be ‘grown up’ at 13 years old. These days, this fragrance makes me think of my mum and also the carefree attitude I had as a teenager. If you’ve smelt GUERLAIN Mon Guerlain then you’ll know why I love it, and if you haven’t, well, you’re missing out. Feminine and delicate, yet long-lasting and seductive, it’s a perfume that’s appropriate for every mood and occasion. I could be having the worse morning, and a few spritz of this fresh oriental will make me feel like a million dollars. A more grown-up vanilla than that in Princess, Mon Guerlain marries lavender and jasmine petals with creamy drops of sandalwood and vanilla, a fusion that feels elegant but still youthful and fresh. Mon Guerlain is a perfume I can imagine wearing for years to come. When I turned 16, I graduated from my weekend job taking orders at the local Chinese takeaway and stepped into my dream role: a sales assistant in a perfume shop. Talk about a glow up. From there I was exposed to Scent with a capital ‘S’; shaking off the spectres of Charlie and Exclamation, I set off in search of my very own signature perfume so that I could be just like all of the glamorous women and men that I worked with. After much careful deliberation, I found a bit of myself in Yves Saint Laurent Baby Doll, a joyful fruity floral in an amazing bottle shaped like a spinning top. I’d keep it in my bag at all times and share it around with my friends when we’d go out – I’ll never forget how chic I felt! Fast forward 13 years and I’ve found myself on yet another mission to find a new signature fragrance, this one to scent two very different new roles: as a wife and a mother! Valentino Donna is a perfect fit for this more tender and content time, with its soft yet statuesque character that calls to mind a buttery-soft leather makeup bag complete with the iris and rose tones of lipstick and powder. It’s an incredible fragrance that’s so very different to the frenetic fruity tones of Baby Doll, but they’re both me! This entry was posted on Thursday, March 8th, 2018 at 9:22 am and is filed under Candy Perfume Boy, Fragrance, New products. You can follow any responses to this entry through the RSS 2.0 feed. You can skip to the end and leave a response. Pinging is currently not allowed. So happy that you love Aura too…..I was slightly underwhelmed at first sniff but it’s a scent you need to live with. I find I am discovering new facets of this all the time and it’s a stunningly well engineered fragrence.